Planning a meeting? A call to either The Corner Kitchen or Harry's Deli brings fresh and healthy ready - to - serve fare. It's said that ingredients make the difference. At We Cater Offices we only use fresh ingredients that are made every day! need to make your next event a delicious success. Take a moment to browse our menu to see the extensive lists of choice offerings we have. We offer beautiful piled high sandwich platters, moist muffins made daily, assortment of cheeses, crisp vegetable trays, coffee and beverages. 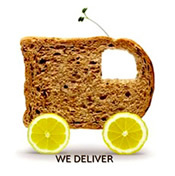 With over 26 years of catering experience we are confident that We Cater Offices can help you plan your next event. Do We cater to you? Please CLICK HERE for the location nearest you.